The team representing Ohio in the Central Region tournament has looked unstoppable in their first three games in Zionsville, Indiana. 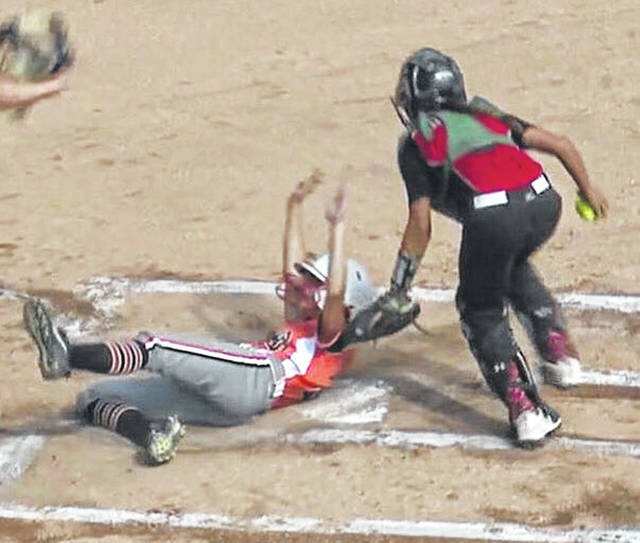 On Thursday, the Wheelersburg Little League 11/12s softball team defeated Keystone Little League (NE) 10-0 after four innings. In little league softball, if a team is up by ten or more runs after the losing team has batted in the fourth inning, the game concludes. This happened for the second straight game thanks to impeccable hitting, baserunning, and for the second day in a row, a world class pitching performance by Ashley Spence. Spence, who two days ago had a pinch hit inside the park home run and a day ago allowed only one hit on the mound, shut down the team from Nebraska allowing zero base runners through four innings, resulting in a perfect game. For the entirety of the game, Spence threw only thirty-five pitches in the four inning contest. Efficiency and control were the standout factors in Spence’s game on Thursday, according to the head coach of the Wheelersburg team, Dusty Salyers. “She didn’t throw anything down the middle, she hit her spots really well” said Salyers, “The defense made every play they had a chance to make”. This performance comes only two days after AndiJo Howard struck out twelve batters on her way to pitching a no-hitter. Through their first three games, Wheelersburg has only allowed their opponents one hit. Runs were a plenty for Wheelersburg, totaling three in the first inning on the backs of three errors by Keystone LL fielders. Burg would go on to score three more runs in the top of the second, and two runs in each of the third and fourth innings. The play of the game was a questionably scored two-out triple that turned into a scored run by left fielder Rileigh Lang. ESPN announcers initially thought the play would be scored as an inside the park home run but was later recorded as a triple. When ESPN announcers asked Lang’s father whether it was a triple or a home run, he vouched for his daughter, claiming emphatically the play should be scored as a home run. Coach Salyers agreed with Lang’s father on the matter, “It was a shot, over the right fielder’s head. It was a great play in the game, I was tickled to death for Rileigh”. Through their first three games, Wheelersburg has outscored their opponents 28-0. They have also scored at least one run in each of the last thirteen innings that they have played this tournament. For the second day in a row, ESPN announcers claimed that the team representing Ohio was the team to beat in the Central Region. 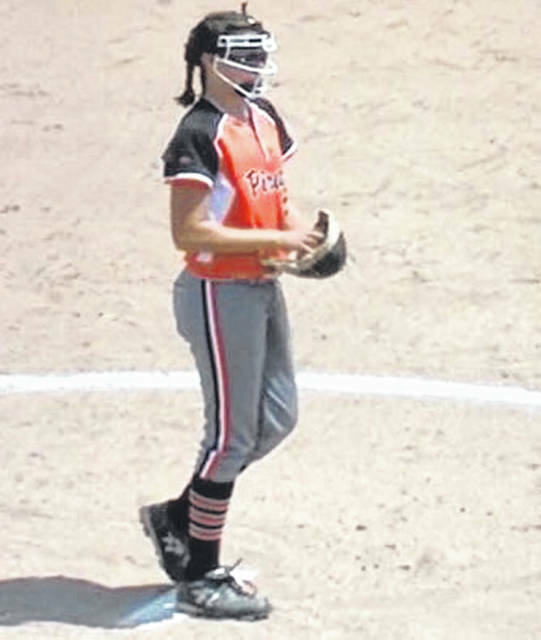 Wheelersburg will face Pittsfield Little League (Ill.) in the semifinals of the Central Region tournament Friday morning at 11 a.m. Salyers says his team is ready for their next challenge in this tournament. “They have a pitcher that will try and overpower you” said Salyers, “as long as we put the ball in play and don’t strike out a ton, I think we’ll be fine”. If Wheelersburg wins their semifinals matchup against Pittsfield LL, they will play in the finals of the Central Region tournament at 5 p.m. on Friday. “We have to take it one game at a time, we have to win in the morning first” said Salyers, “If we can win that one, it’ll be something they’ll never forget, win or lose. That’s a once in a lifetime opportunity”. The champions of the Central Region will go onto represent the Central Region in the Little League Softball World Series in Portland, Oregon August 8th-15th.